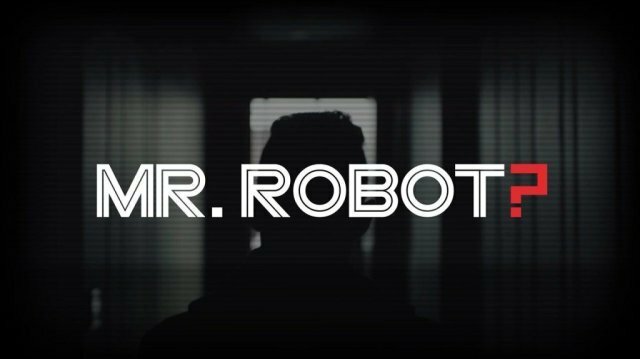 Though I haven’t had a TV now for over 10 years, I discovered a new show from USA Network called Mr. Robot. It’s becoming increasingly easier to find content online. I mean lets face it, at some point cable is going to be completely gone as we know it. Not to mention all the pirating that is done. I would never do that of course 🙂 I found Mr. Robot from a reddit post about there being a free pilot to watch on YouTube. What an excellent way to get the pilot out and gauge the response other than to post it on YouTube for free? Kudos to USA Network on that one, though I am sure it’s been done before. The video has since been made private for some reason. I guess the response was good enough however to keep the series going. I watched the pilot without reading the reddit post comments or looking up what the show was about. Being a robot myself, I was interested. I usually don’t like to watch trailers or know what I am watching until the movie or show is going and either I find myself being entertained or disgusted and turn it off. I have to say though I was pretty taken with Mr. Robot. Not for it’s fantastic acting or action scenes or CGI, but for the actual content of the show. It’s refreshing sometimes to watch something that captures your attention enough to want to think about what’s being presented rather than just being mindlessly entertained. Though that has it’s merits at times. The shows main character, Elliot, is a tech guy that works for a security firm whose task it is to make sure that companies are running, you guessed it, a secure infrastructure. He’s also socially inept, using drugs to get around what he finds to be the atrocities of what’s wrong with the world. I personally don’t think he’s far off from his approach in how most of us deal with the world around us. I mean, take a moment and think of what it is you might be using right now to distract you from whatever it is you “should” be doing or otherwise. We all use some type of “drug” to take our minds off our problems. His problems however are not so much of what he see’s in himself, but rather what he see’s as being problematic in the world lending him mistrusting of it’s inhabitants. More aware of his surroundings if you will. Though, we all make it what it is on some level and in some way. His only real connection to anyone is to “hack” them. He finds out more about someone in his process of hacking them than any physical interaction would satisfy. Of course, anything can be one sided. As I was watching the pilot, my wife’s attention was caught as I seemed to be pretty enthralled. I think the show resonated with us both in the context of what was being presented. The show references E corp or better yet, as everyone refers to it, Evil Corp. I take that to be a jab at the whole Enron Corporation scandal, which in my opinion we haven’t learned or cared to really change a thing since. The main character is also in therapy in which you get the idea that he’s been there for quite some time facing the same challenges over and over. He’s disgusted with what “we” have done with the gift of life and the planet we live. At some point he realizes he’s not alone in his wanderings in that is he contacted by a hacking team that holds his same ideals in mind. Fsociety, as they so eloquently named themselves, needs Elliot’s help to inject a virus inside of Evil Corp to start the process of ending their tyranny for good. The security company the hacker works for is conveniently a client of Evil Corp, so the choice on fsociety’s part is not by accident. You then realize when the camera snaps back he was only talking in his own mind, not out loud. How many of us do that all day, complain the truth without changing it. Check out the show, it might strike a nerve as it did mine.